We know that being a parent can be both rewarding and challenging especially as family life is constantly changing. This can sometimes add stress to the home environment and can lead to a relationship breakdown. Our role is to support parents and carers to achieve the best relationship possible with their children, whether they are toddlers or teenagers. This is a 13 week programme designed to support families with relationship problems with their infants and young children aged 5 or younger. Meeting once a week, the programme combines personal support on parenting problems through the use of video and direct work with parents and children. Click for more. The Strengthening Families, Strengthening Communities (SFSC) programme is a 13 week programme for parents with children aged 3 to 18 years old. Each session is 3 hours long and they are held once a week. Click for more. 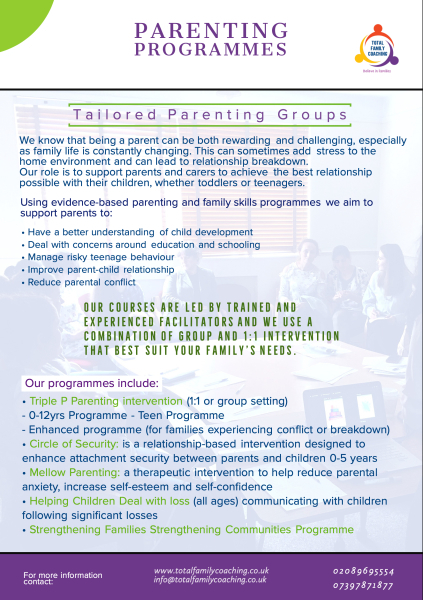 This is a 13 to 14 week parenting programme for parents from families who have been identified as vulnerable by safeguarding practitioners and community partners. Click for more. The Positive Parenting Programme was developed and researched in Australia and has been proven to enhance parents’ abilities when managing their children’s behaviour. It does this by promoting understanding of children’s development and gives tools and strategies on increasing respectful behaviour and how to manage misbehaviour. Click for more. Circle of Security groups are user-friendly, non-judgmental and highly enjoyable. Their aim is to help families tune into and respond to the emotional needs of their children. Click for more. The Webster Stratton Parenting Program offers support to parents and carers of children aged 2-12 years with conduct disorder or behavioural problems. 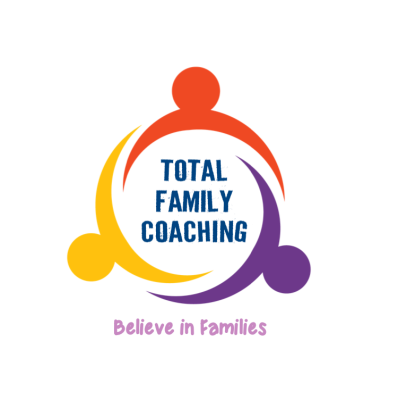 Each group is made of up to 12 parents and sessions are 2 hours long for a period of 10-12 weeks. The parents referred to the program must recognise that they have some ownership of the problem. The Strengthening Families Programme 10-14 (UK) is a seven-week, evidence-based programme to help families with young people aged between 10 and 14-years-old to prepare for teenage years. The Strengthening Families Programme 10-14 (UK) is a seven-week, evidence-based programme to help families with young people aged between 10 and 14-years-old to prepare for teenage years. Click for more.